Cat and I know a thing or two about always being a renter and never a buyer. Home ownership will be in our futures someday, but we’re getting pretty good at this whole renting business in the meantime. Cat gave some tips to help get your rent deposit back. I wanted to talk about another aspect of renting today: repairs. If you have a good landlord, he or she will take care of the issues that inevitably pop up during your tenancy. But what if your landlord has a full time job that prevents him or her from taking care of those minor annoyances in a timely manner? We certainly all understand being busy. There are things most people can fairly easily fix themselves with a few basic tools and maybe even a YouTube instructional video. I’ve always informed my landlords of anything major, but the Mr. Fix It in my house likes to tinker and I like to get issues taken care of quickly. A minor issue can grow into a major problem if left alone, and even though I might not be financially responsible, I don’t want my landlord to incur costly repairs either. Plus, sometimes it’s difficult to coordinate a time when you’re home that the professional handy man can stop by. You’ll be by sometime between noon and 4 P.M.? Ain’t no one got time for that. If you have an iPhone, chances are it came with a compass app. That app also has a level, which can be used in various home projects. Are you comfortable doing your own home repairs or is that something you prefer to pay a professional for? Great basic list Natalie. I do some of my own repairs and projects, but I also have my brother and dad help with a lot of them too. Since my house is pretty new, I’ve been lucky to not have too many repairs. That is good. Our apartment is new to us, but pretty old. Things seem to happen all the time! 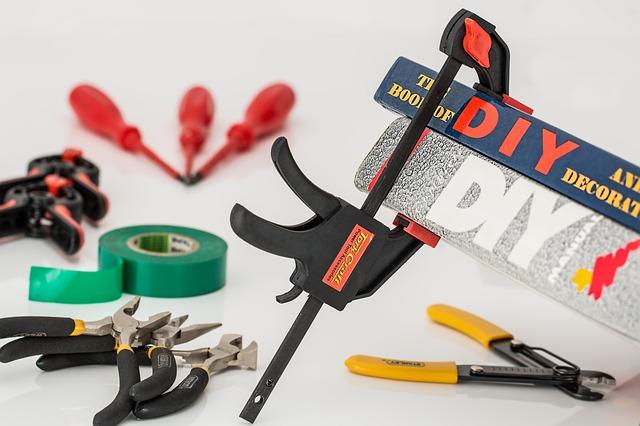 “A minor issue can grow into a major problem if left alone … ” A great point and one reason why it’s important to be ready to handle at least low-level DIY tasks.